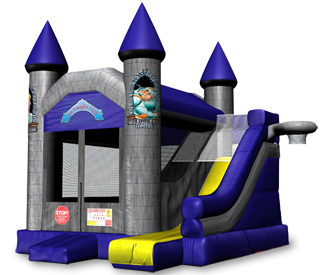 Let your prince or princess have their very own castle (at least for the day) A fully enclosed jumping area with basketball hoop, 14ft slide with a 50 degree sliding angle so even the older kids will love it. There's a hoop on the outside of the unit as well! This one will keep 'em busy for hours! A popular attraction for all ages.